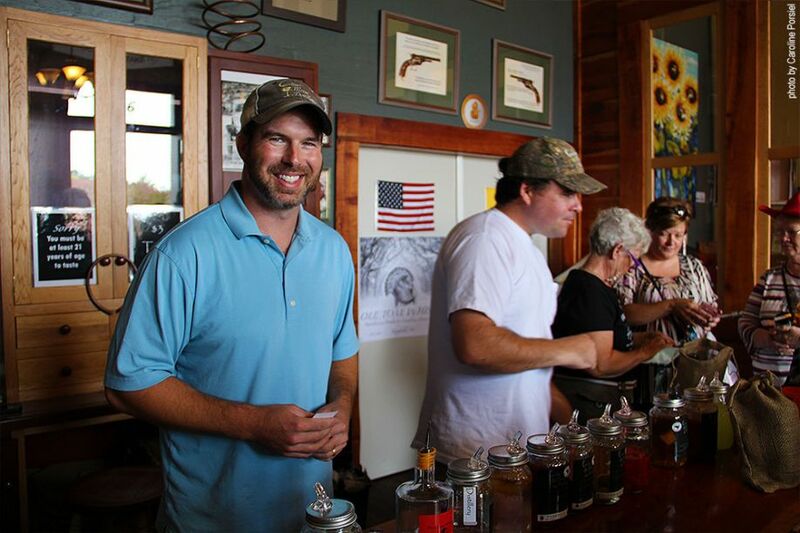 Since late 2013 Georgia Moon Distillery is producing corn based whiskeys in Edgefield, South Carolina. 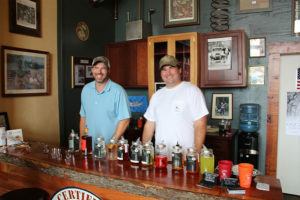 T. “Cal” Bowie and David F. Long two local entrepreneurs from Edgefield, South Carolina started in 2012 with their preparations for opening a moonshine distillery at Court House Square in Edgefield. Edgefield is a small town of about 4500 inhabitants North of Augusta located in the Horse Creek Valley which is known for its rich clay deposits. Driving to Edgefield makes it obvious what the town is known for: Farming and clay pottery. In the upland area cotton production dominated especially after introduction of so called cotton gins, machines that separate cotton fibers from their seeds and made the cotton production financially more attractive. For a very long time Edgefield used to have a strategic interesting trade location North of Augusta with Augusta being the second largest inland cotton market in the world until the beginning of the 20th century. Several beautiful antebellum mansions and plantations date back to that time and are today under the protection of the Historical Society of Edgefield. Most of these houses were home to well-known people, among of them are 10 South Carolina Governors that came actually from Edgefield. And, it is the historic district of Edgefield that the new distillers chose to start their business. 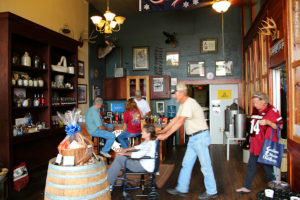 Right beside the Plantation House, a former hotel and tavern the distillers remodeled an old building to serve as tasting room and shop with the distilling equipment located in the back of the building. 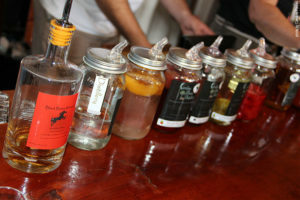 Despite being a fairly young distillery the whiskey’s of Carolina Moon Distillery are tasty and for the lovers of longer-aged products – there is more to come that is currently aging in Edgefield. 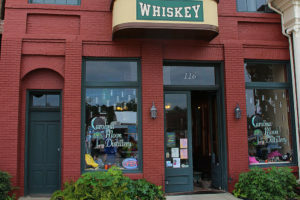 At the moment their mild, lightly-aged Black Betty Whiskey is available for sale, besides a selection of fruit moonshines and a high proof moonshine product.